Dust and pet dander can collect in your home all year. If you have loved ones who are sensitive to allergens, make sure that your indoor air is as clean as possible. High-quality air purifiers clean the air in your home by trapping and killing the tiniest of indoor pollutants. During the winter, you can’t open the windows to freshen the air inside your home. As a result, indoor air can get stuffy and warm, especially when there are many people gathering inside your home. With an energy recovery ventilator, you can exhaust stale indoor air and replace it with fresh pre-conditioned air from outside. By doing so, you’ll reduce the amount of particle pollutants lingering your home. Cinnamon pine cones and peppermint-scented air fresheners are commonly available in stores during the holidays. Did you know that these holiday decorations are one of the largest sources of indoor air pollution? Their artificial scents and fragrances contain chemicals that can irritate guests who are sensitive to these products. Avoid commercial products, and create your own holiday scents with natural ingredients. For example, you can simmer orange slices in a saucepan of water to spread the scent of citrus throughout your home. Roaring fires in the fireplace are synonymous with the season. But storing firewood in your home can introduce microbial agents into your indoor air. Store your firewood outside your home in a place that’s adequately protected from the elements. Do you want to breathe the healthiest air possible? Contact Conditioned Air Mechnical at 281-201-0356 to schedule an indoor air quality assessment of your home. 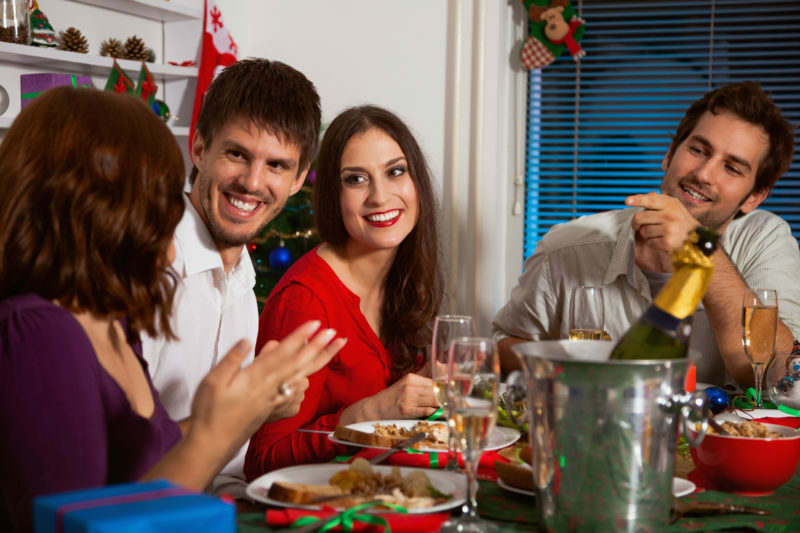 We can help you correct any indoor air quality concerns before holiday guests arrive.